Inspirational credit goes to Karen at Baking in a Tornado who seems to push indulgence to the very limit and always leaves me drooling for more. Her Kit Kat brownie Bars left me feeling like I needed to go for a run just looking by at it. I always use dark muscovado (unrefined cane sugar), in place of other sugars, when working with a chocolate base. If you have it, it will add even more richness. However, in this recipe, brown sugar works well as a substitute. If you need to use caster or white sugar, you may want to add a ¼ cup more. Avoid using larger granules like raw sugar as these will be more difficult to dissolve. Bittersweet Brownie Bar without chocolate. • Place biscuits and butter in the food processor to combine. If you don't have a processor, place the biscuits in a bag and crush using a rolling pin, melt butter and combine. 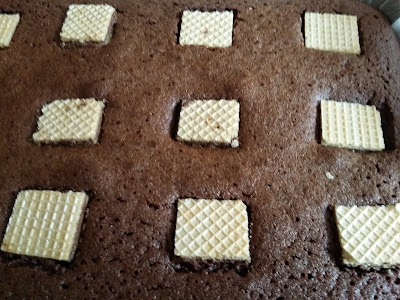 • Press base mixture into a lined 27x18cm slice tray (a little bigger will be fine too). I use a second tray the same size to press it all firmly and evenly down. •Place butter in a small pot or microwave safe bowl. • Melt butter completely (on stove or in microwave) and stir in sugar, salt and cocoa powder until sugar is dissolved. 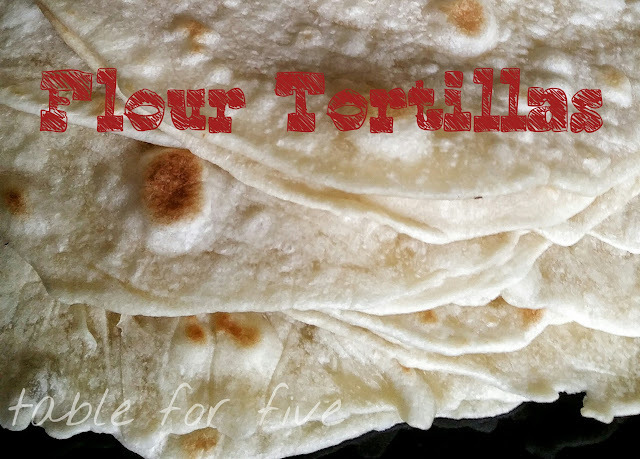 • Sift in flour and add all other ingredients. Stir well. 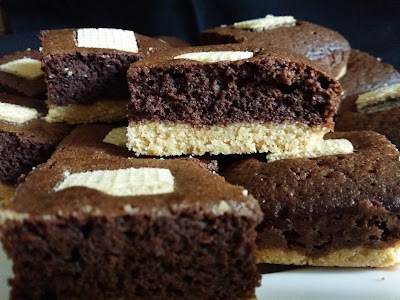 • Pour brownie mix over biscuit base and spread evenly. You can press cut wafer biscuits into the mix at this point if you want them. • Bake for 20 minutes. 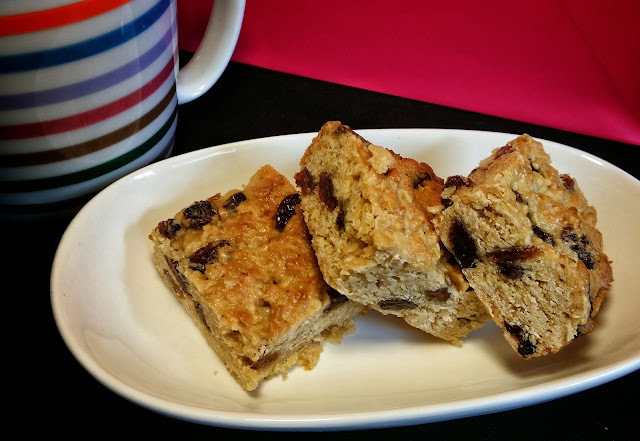 • Allow to cool for 10 minutes before removing from tray and cutting into squares. *To make buttermilk substitute, place 1 teaspoon white vinegar in ½ cup and fill with milk. Let it sit for 5 minutes.